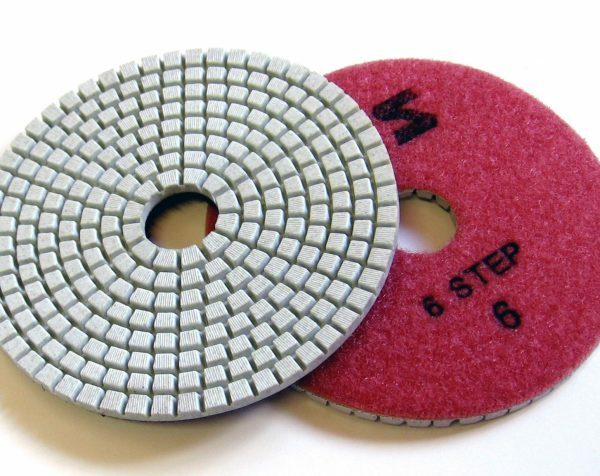 6 Step diamond resin bond system for wet polishing quartz/engineered stone and granite (wet/dry). 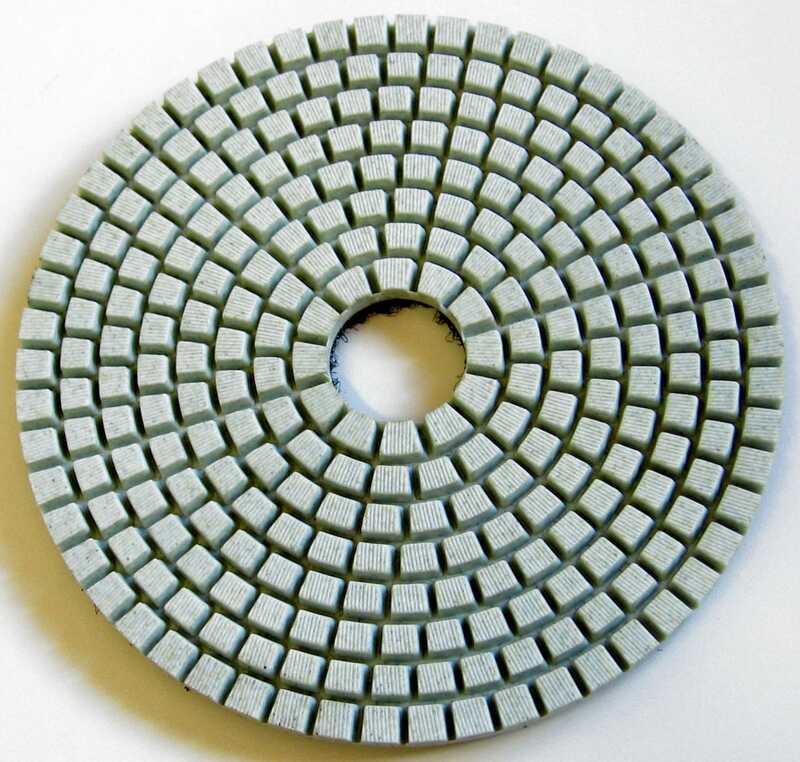 These discs are constructed using a high concentration of diamond enabling them to quickly form chamfers, pencil round edge details and radiused corners. The neutral coloured resin ensures there is no residue or staining left on the lighter coloured stones. 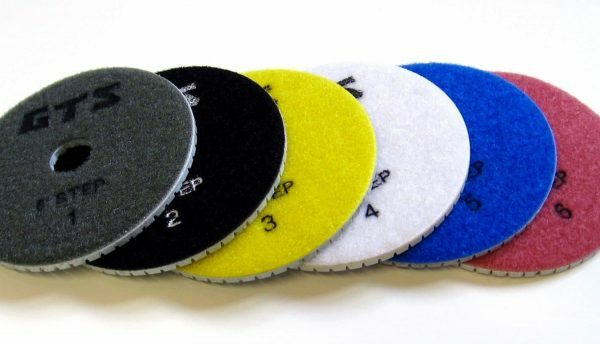 Available in S1, S2, S3, S4, S5 and S6 steps, 100mm diameter with colour coded QRS/Velcro backing for easy grade identification.